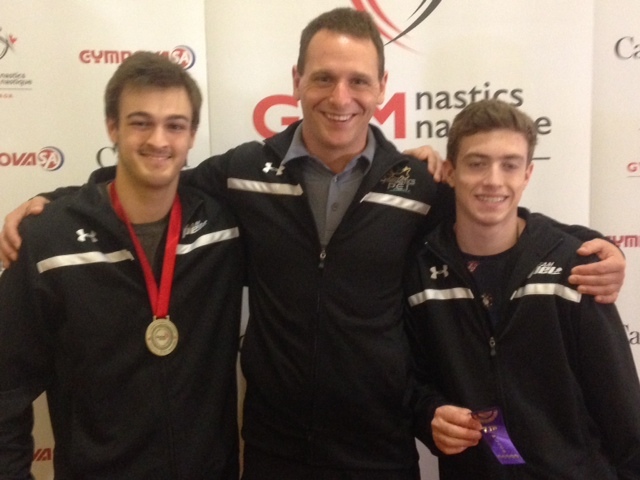 Island Gymnastics Academy gymnast Matt Gallant made history on June 4 in Edmonton when he won the gold medal on pommel horse in the National Open category at the Canadian Gymnastics Championships. It was the first National pommels title for PEI. His gold medal performance, on what is arguably the most technically difficult men’s apparatus, was not entirely unexpected. Gallant has made a name for himself on this event after taking the silver medal at last year’s Canadian Championships and qualifying to the pommels event final at the 2015 Canada Games. “Matt delivered an outstanding pommels routine to earn the National title. PEI has won many Nationals medals over the years, but never the elusive pommels gold. We are very proud” says Coach C.J. Keliher. Men’s Program Director at Island Gymnastics Academy, Keliher is the 2019 PEI Canada Games team coach and one of only a handful of NCCP Level 4 coaches on PEI. Teammate Alex Mann also put in a stellar performance in the all-around competition placing 7th all-around in the National Open category out of 54 competitors, following a 7th place finish on parallel bars and a 9th place finish on pommels. “This was an exceptional Nationals competition for Alex. To compete all six apparatus and place 7th out a field of over fifty of Canada’s best is impressive.” adds Keliher.